This section goes over how to access files that were sent to you and require you to login. 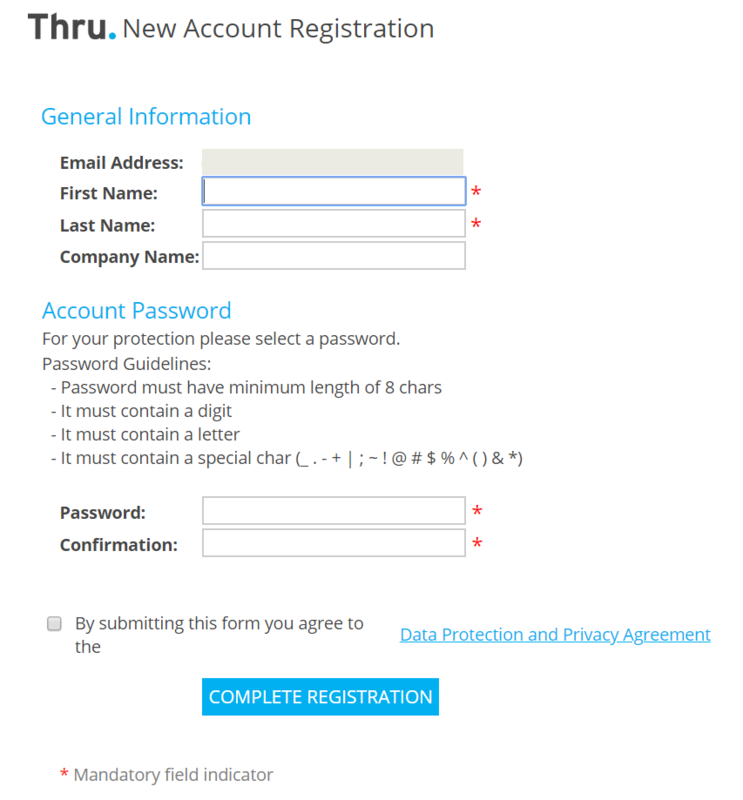 Asking you to register a new user account or to log in with a previously registered user account. Fill in your email address and password and click the button Access Secure Message. If you have forgotten your password, use the Forgot Password link on this page. Use the New Recipient Registration option. Fill in your email address in the email field and click the button Register. You will then receive an email from notifications@thruinc.net that will guide you through the registration process. The email address you enter must match the one in the email you received. !Registration cannot proceed because this Email Address is not the intended recipient of the secure message. If you believe you are the intended recipient please enter the correct Email Address. The link to create a password does expire within 24hours. Please create a password as soon as possible upon receiving the email inviting you to create a password. What can go wrong at this point? The most common issue is that people don’t receive or don’t find the registration process email. Did you look in your Junk email folder? 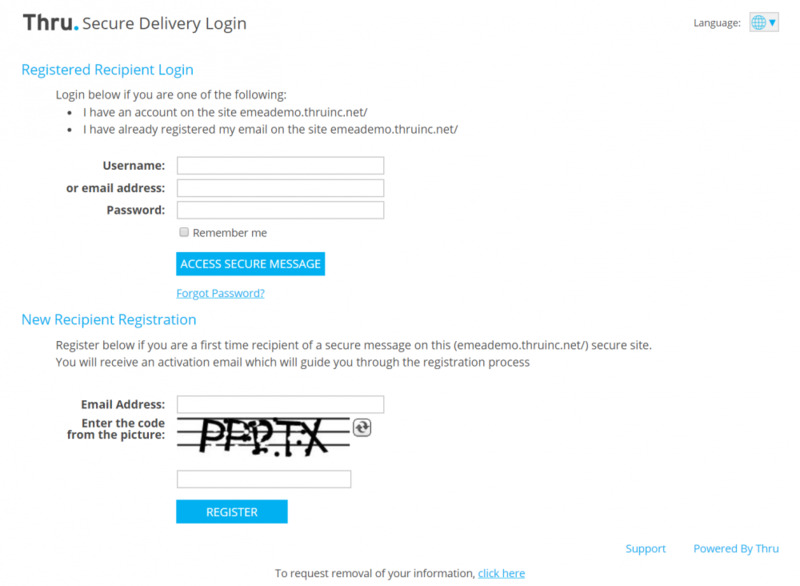 Does your company use an email security gateway that may have trapped the delivery from thruinc.net? They need to allow/trust email from notifications@thruinc.net. Do you have email filtering rules that might have saved the email in an unexpected folder? After filling out the registration information, you will be directed to a web page to download your files.